Sri Lanka, the pearl of Indian ocean has a history dating back in time. It is a place where the original soul of Buddhism still flourishes and where nature’s beauty remains abundant and unspoiled. Few places in the world can offer the traveler such a remarkable combination of stunning landscapes, unspoiled beaches, captivating cultural heritage and unique experiences within such a compact location. Almost dangling like a pendant from the southern tip of India, Sri Lanka has been known as the Peal of the Orient for its variety of attractions. It is not a mere tropical isle known for sun, sea and sands, although it has all this in plenty. In fact the island has over 1400 km of sun-kissed beach..With its year-round summer and two different weather systems, whatever the time of year, there’s always a beach with sunshine and a choice of calm seas or steady surf depending on what you feel like. There’s a beach for all tastes, budgets and seasons in the lovely island of Sri Lanka. Sri Lanka is an island that is captivating both by its name – that means Land of Splendor – and by what it actually offers to the visitor. 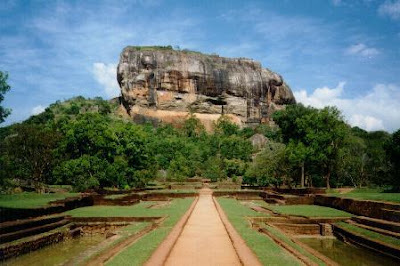 The attractions of Sri Lanka – known to the world by several names from ancient days – have been known through the centuries. While legend has it that this is the Lanka of the Ramayana, it is the name by which it has always been known to its own people.The Romans called it Taprobane, marked on Ptolemy’s map of the world, derived from “Tambapanni” – land of copper colored earth and lotuses given by the first known migrants from North India. The Arab traders of the past called it Serendib – island of delight, which gave birth to the English word Serendipity – the prospect of discovering pleasant suprisess which the British called it Ceylon. But the people of the East, as distant as China, always knew the island by the name given by its own people – Sri Lanka. Sri Lanka is mainly an agricultural country. She is self sufficient in her staple diet rice which is the largest cultivation. Tea, Coconut and Rubber are the main economic agricultural crops. Tea brings beauty as well as the foreign exchange to the country. The Gem industry in Sri Lanka has been in existence for over 2500 years. Some of the rarest of gem stones of exquisite beauty have taken pride of place, in the Crown jewels of Kings and Queens from time of Great Roman Emperors. The Sri Lankan tea is world famous for its aroma and taste and uniqueness which match no other in the world. Plucked from the finest gardens in the hills and is export to many parts of the world. By far the biggest attraction of Sri Lanka is its people. The Sinhalese, Tamils and Muslims are all friendly by nature and the country has an unmatched record of hospitality over the centuries. It is a land of smiles and a warm welcome, observed by Anton Chekov, Bernard Shaw and Sir Arthur C. Clarke who has made Sri Lanka his home, and the inspiration for at least two of his books. It is known as a land of tolerance that has been tempered over the years by the teachings of the Buddha. Its overall Buddhist culture, with a lasting blend of Hindu influence has been the source of an ancient civilization, with masterpieces of sculpture, construction, and irrigation that have lasted to this day in the several ancient and medieval cities that bear testimony to Sri Lanka’s historic splendor The huge irrigation tanks that dammed rivers and also harnessed the rain from the very olden times are known as marvels of a unique hydraulic civilization and still provide the water for the rice field of today. At the beginning of a new millennium, Sri Lanka that has known much of history, still beckons as a land of splendor far beyond the limits of a tropical island. Sri Lanka, the Isle of Serendipity is a tourist paradise with an abundance of tourist attractions like the sunny beaches, glorious ancient cities, salubrious hill country, beautiful fauna & flora, exquisite handicrafts, world renowned gems, traditional dance & drama, colorful festivals, smiling people and not forgetting the mouth watering Sri Lankan cuisine. 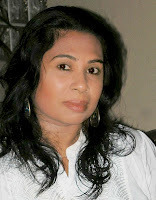 Sri Lanka is fast becoming the shopping center of South Asia. 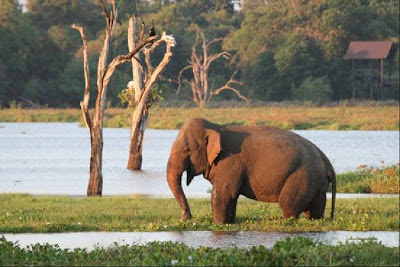 Today’s Sri Lanka welcome its visitors to experience the nation’s glittering tapestry of culture, and the rich abundance of nature, so handsomely blended together.The entire island is flourished with bird life, and exotics like elephants and leopards are not uncommon. To top it all off, the people are friendly, the food is delicious and costs are low.This colorful collection reveals its richness and this beautiful island in the Indian ocean is the most prime destination to all who seek to new experience of life.